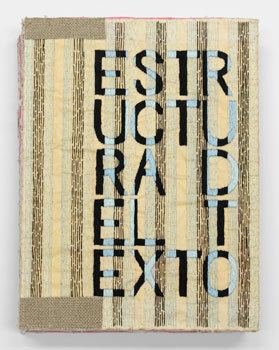 Estructura del Texto translates as Structure of the Text. The organization of letters into the structure of pages corresponds to the weaving loom as a rhythmic structure for the making of textiles. Text / textile share the Latin root texere: to weave.